HEY ROOTS & SHOOTERS! Are you passionate about primate conservation? Do you have a flair for writing? Would you like to win some cold hard cash? The competition is open to teenagers aged 12 to 18 from around the world and the first prizes are USD 300 and USD 500 for the Junior and Senior categories respectively. 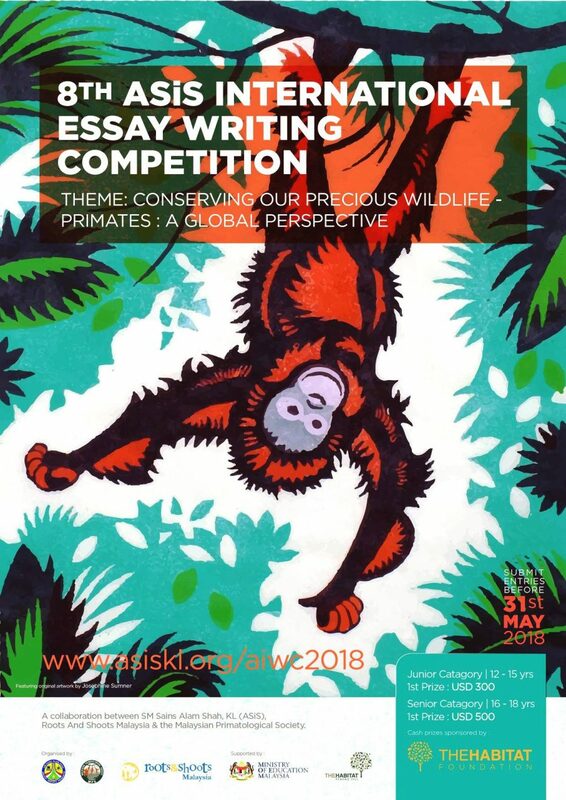 Submissions must be received by 31st May 2018.